Kansas City area Jewish center shootings suspect Frazier Glenn Miller; who is the man with 2 names? OVERLAND PARK, Kan. -- The man accused of killing three people Sunday in attacks at a Jewish community center and Jewish retirement community near Kansas City is a well-known white supremacist and former Ku Klux Klan leader who was once the subject of a nationwide manhunt. At a news conference, Overland Park police Chief John Douglass declined to publicly identify the man suspected in the attacks. But CBS News confirmed Sunday that the suspect in custody is Frazier Glenn Cross, 73, of Aurora, Mo., also known as Frazier Glenn Miller. Local officials have said they are waiting for the conclusion of their investigation to determine whether or not it was a hate crime. On Monday, U.S. Attorney General Eric Holder said Justice Department prosecutors will also investigate whether federal hate crimes were committed. The suspect was shouting anti-Semitic slogans as he was arrested, CBS affiliate KCTV reported. 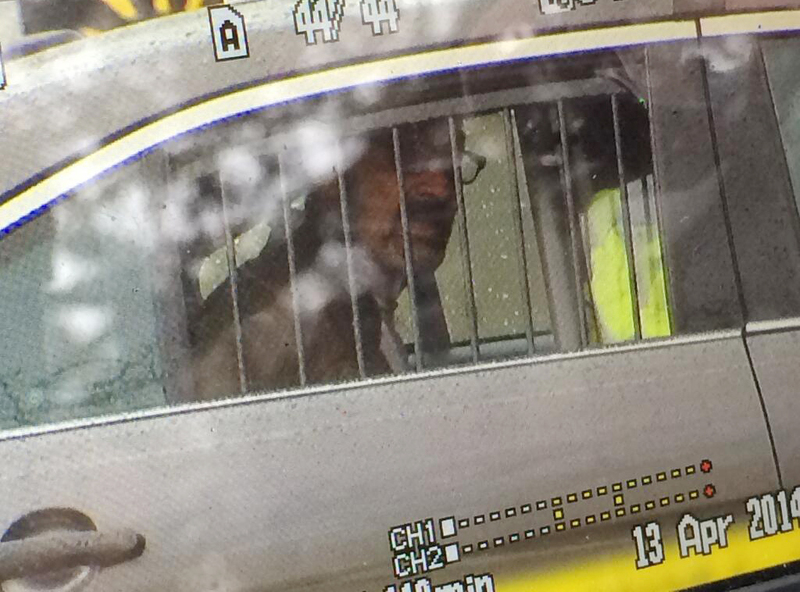 KCTV's Bonyen Lee said the suspect appeared to yell "Heil Hitler" as he was taken away. "I've been told he was yelling 'Heil Hitler' as he was being taken away in cuffs," Rabbi Herbert Mandl, who serves as a chaplain for the Overland Park Police Department, told CNN. Although the suspect was booked under the last name Cross, he is probably better known as Frazier Glenn Miller. A public records search shows he has used both names, but he refers to himself on his website as Glenn Miller and went by the name Frazier Glenn Miller in 2006 and 2010 campaigns for public office. The Southern Poverty Law Center, which tracks hate groups, said it reached Miller's wife, Marge, by phone and that she said authorities had been to their home and told her that her husband had been arrested in Sunday's attacks. Calls by The Associated Press to a number listed as Miller's on his website were met by a busy signal or rang unanswered. According to the law center, Miller has been involved in the white supremacist movement for most of his life. He founded the Carolina Knights of the Ku Klux Klan and was its "grand dragon" in the 1980s. The Army veteran and retired truck driver later founded another white supremacist group, the White Patriot Party, the center said. The attacks rattled Overland Park, a suburb of about 180,000 residents south of Kansas City. President Obama released a statement expressing his grief over the attack, and Kansas Gov. Sam Brownback vowed to bring those responsible to justice. "My heart and prayers are with all those who were affected by today's events," Brownback said in a statement. "We will pursue justice aggressively for these victims and criminal charges against the perpetrator or perpetrators to the full extent of the law."